Last Call with Carson Daly, The Late Show with David Letterman, some Emmy nominations as a supervising producer during Jimmy Fallon’s stellar first year at The Tonight Show—Rob Crabbe is, like, the Gus Malzahn of late night production. People want the guy, because he’s apparently not afraid of a challenge. The reason most thumbs are up for Monday night’s debut of the new Late, Late Show with some British guy you’ve never heard of? 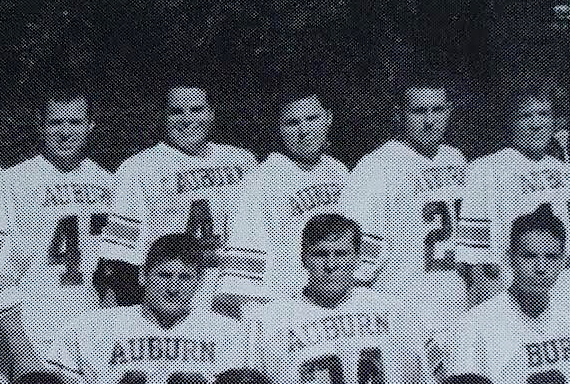 Crabbe, a brother of Phi Gamma Delta who graduated from Auburn University in 1997, and who like most boys from Virginia played lacrosse in college, is producing it and writing for it. 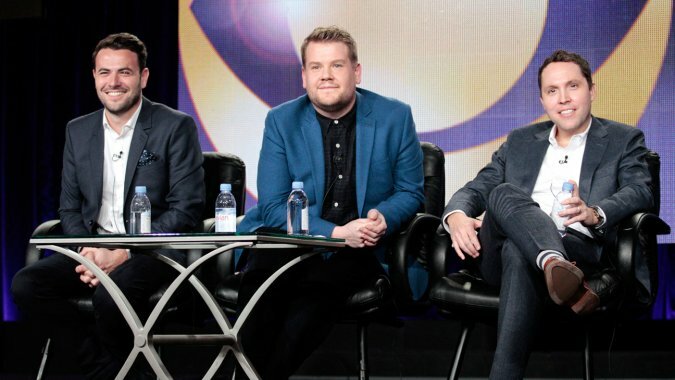 Crabbe, and fellow Late, Late Show producer Ben Winston, as well as new host… James Corden, that’s it!… recently sat down with The Hollywood Reporter to talk about their hopes and dreams for the new gig. Crabbe told THR he thinks the late, late time slot will provide the show’s format more freedom. Crabbe: With American talk shows in general, there is a format that was created and has been stuck to over 50 or 60 years now, and there’s a reason that the format keeps coming up. But I feel like Fallon changed it up to a great degree — as much as it could be changed — with the way he interacts with guests and things like that. So we’ll try to put our own little twist on it. We recognize what it is: he’s still going to have to walk out in the beginning of the show, we’re still going to have to do something fun at the end of the show. But with what happens in between, we feel like we have a little bit of a looseness. As a former Fallon fella, Crabbe seems more than aware of the necessity of cultivating a daytime, online audience. Thanks in part to Fallon’s ever-tightening, unprecedented (as far as talk shows go) embrace of the Internet. popular Tonight Show segments regularly log millions of YouTube views within days of airing. Crabbe: The way in which these shows are viewed now — and Fallon shined a real spotlight on it — is that for whatever number of viewers you’re getting at night time, you’re getting exponentially more from people sitting at their desks, eating their lunch, watching clips on the Internet. Either way, you’re still servicing an audience. It will never be far from our minds that, in a lot of ways, this is just as much of a daytime show as a late night show. He also sees Corden’s relative anonymity in America as a good thing. Crabbe: It’s an advantage in a weird way in that he doesn’t come to this with any baggage. No one knows him in America. Nobody is rooting against him because no one has a reason to do so, whereas if you’re anybody else who hosts one of these shows — if you’re Seth, if you’re Jimmy, if you’re Kimmel — people have assumptions about you when you step into the role because they’ve seen you and they know you: you’ve hosted “Weekend Update,” you’ve made three movies. Corden comes into it with a blank slate, and that’s its own positive starting place. P.S. We expect at least two Auburn references a year, Rob. Related: Back to reality: Auburn grad Ashley Salter reflects on ‘Bachelor’ stardom, boredom.